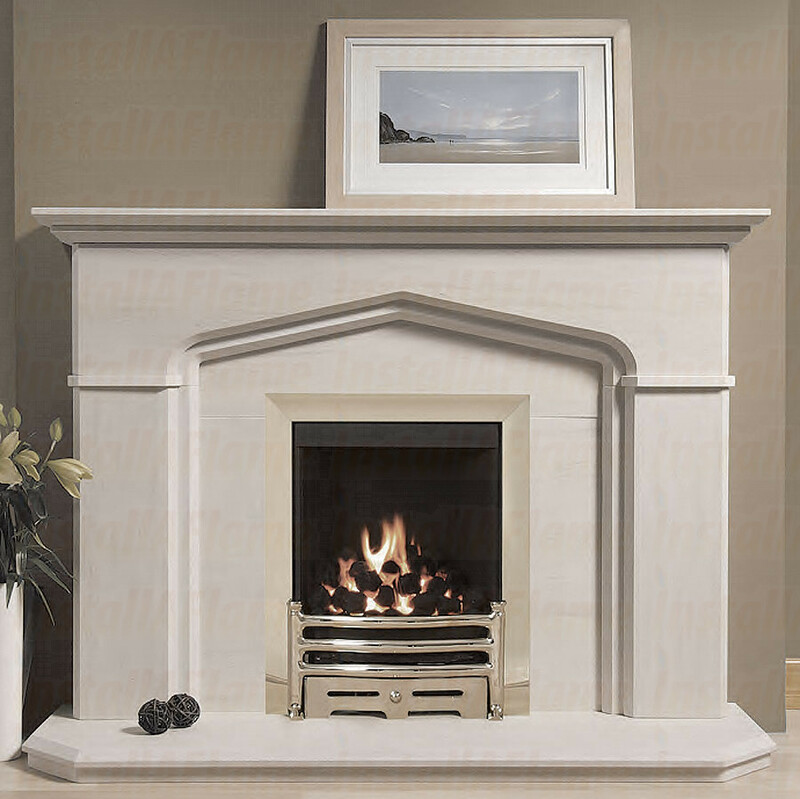 A quality Limestone surround, handmade and unique in its individuality! A Natural Portuguese limestone surround with natural veining and fossils. The Windsor Portuguese Limestone Fireplace features impressive angled corners with bullnose profile a fireplace which would compliment any room. 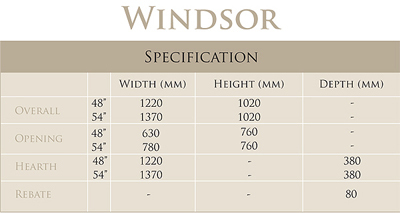 The Windsor limestone fireplace is available in 48" or 54" and comes complete with a matching back panel and hearth The fireplace is suitable for use with gas or electric fires.